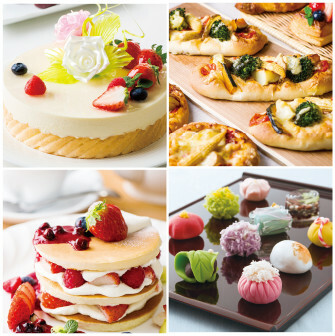 There are 5 courses at Kyoto Pastry & Bakery Art College that can fulfill the dreams of people like you aiming to flourish in the world of pastry. The 2-year long "Advanced Pastry and Chocolate Course", "Advanced Cafe Sweets Course", "Advanced Bread-Making Course", and "Advanced Japanese Sweets Course" are courses that cultivate future pastry chefs and owner pastry chefs. The 1-year long "Confectionery production techniques Course (Pastry Course, Bread-Making Course or Japanese Sweets Course)" is a course that cultivates pastry, bakery and Japanese sweet chefs with the ability to work right away after 1 year. Whichever course students take, after first of all firmly learning everything from the basics of confectionery/bread-making to their application, they then study high level specialist techniques and knowledge more deeply. ©TAIWA GAKUEN EDUCATION INC.KYOTO All Rights Reserved.